The Start 370 Presentation Case from Prat is an attractive hard case with a black leather-like grain deluxe cover. 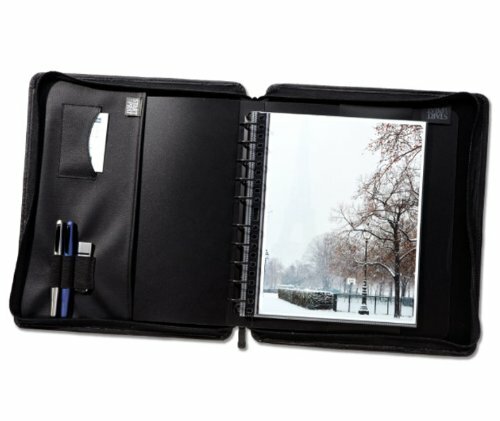 It features double zippered action with an inside pocket, pen holder, business card holder and a binder that can be removed and the presentation case turns into a portfolio. Includes 10 Cristal Clear archival quality polypropylene sheet protectors. Use refills NR. 4x6" GRAY MARBLE PHOTO FOLDER (400 PACK). Traditional grey cardboard paper picture frame for 4x6 vertical portrait prints. Perfect for school pictures, event photography and photo booth.